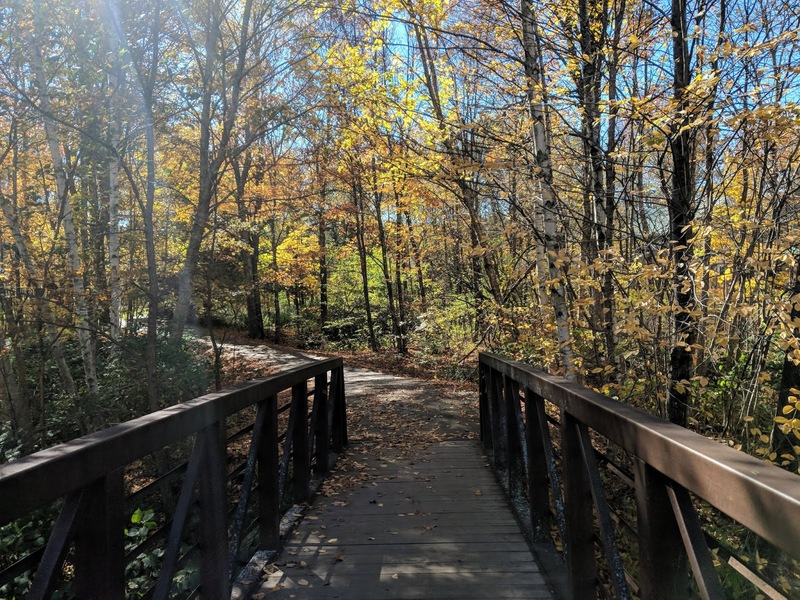 In my many travels to Stowe to ski in the winter or hike in the summer, I heard about the famous "Stowe Recreation Path". Supposedly, it was this 5.5-mile long magical path that takes you through downtown Stowe, past various breweries, cideries, restaurants, stores, and parks. A path that takes you over the sweetest footbridges crossing the West Branch Stream ten times, past crystal clear swimming holes, local farms, Stowe's awesome farmer's markets and some of the town's most famous sights. What better way to see Stowe than on foot, or better yet, on bike? On a sunny Sunday after spending my Saturday mountain biking in Kingdom Trails, that is exactly what I did. I grabbed my bike, put some tired seat bones in that tiny bike saddle, and started at the southern end of the bike path downtown by the church. The bike path allows you to get around town while also staying off busy winding roads full of drivers who aren't always paying attention. 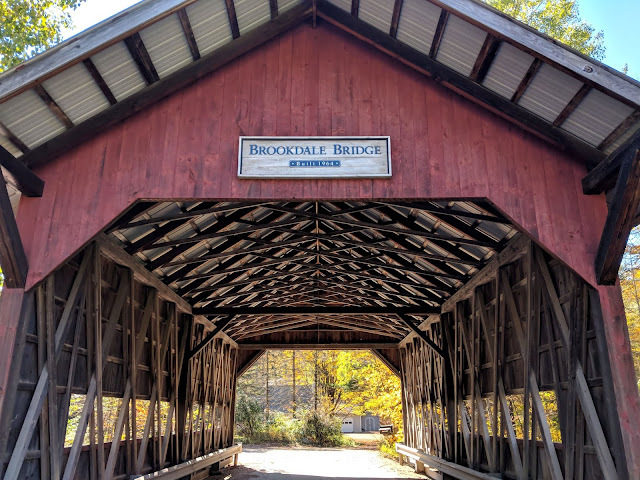 I followed the path and made my way all the way to the end, 5.5 miles later by the Covered Bridge on Brook Road. 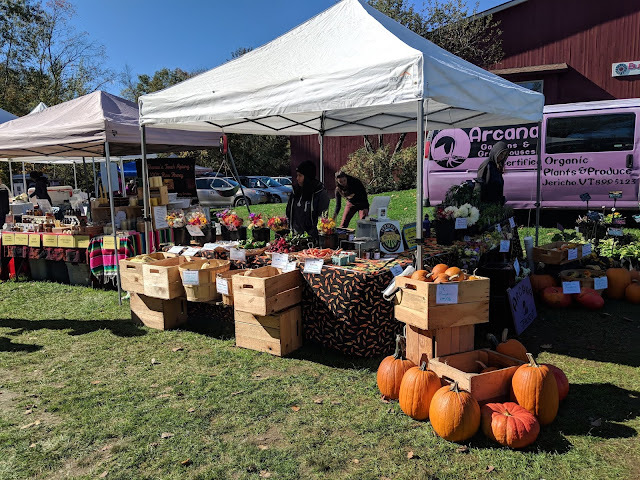 I made several stops along the way including Stowe Cider, the Stowe Farmer's Market, and Black Cap. 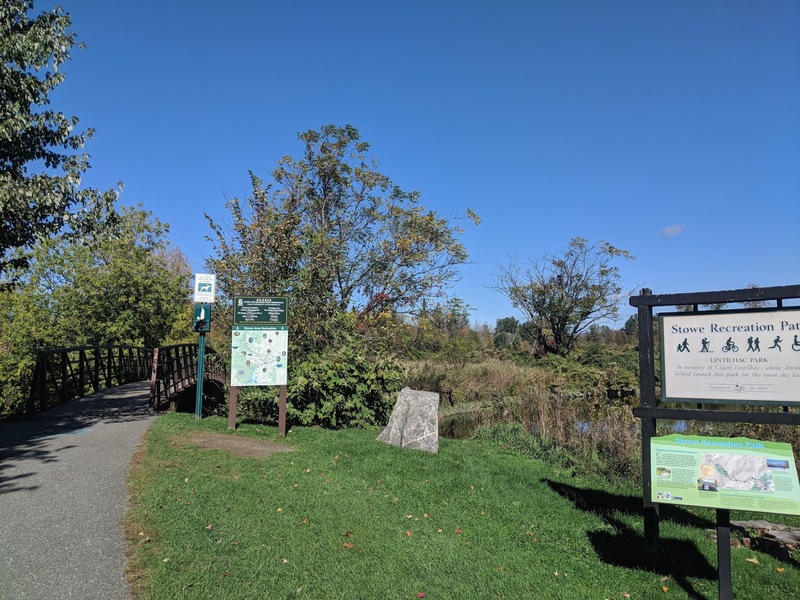 I pedaled up and over these insanely scenic little bridges, passed several quaint little parks and picnic areas, and stopped along the way for a beer and a sandwich. 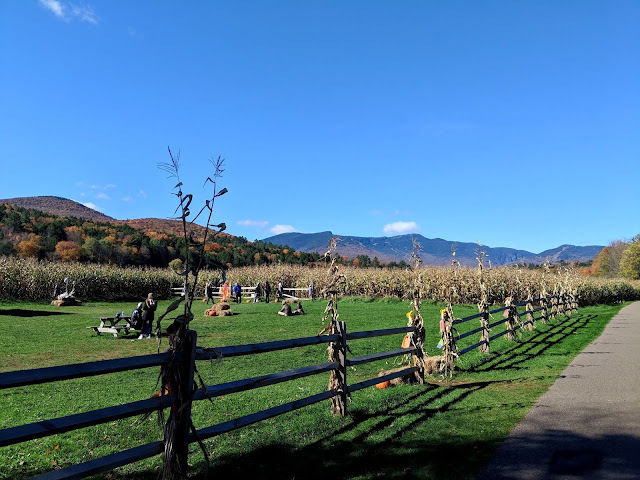 It was just one of those iconically lovely days in Vermont, a picture perfect afternoon experiencing Stowe. 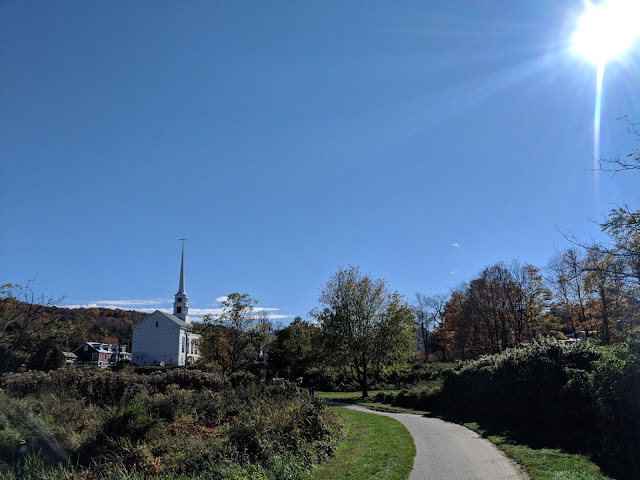 Start: Lintilhac Park- behind the Stowe Community Church on Main Street in Stowe Village. End: Topnotch Access- off Brook Road, just past Topnotch Resort on Rte. 108. Other Access Points: Chase Park- across from Stony Brook Condominiums on Luce Hill Rd just off the intersection of Rte. 108 and Thompson Park- off Rte. 108 across from the Percy Farm Corn Maze. The 5.5-mile (8.5 km) recreation trail was built in two phases, 1981–84 and 1986–89, at a total cost of $680,000. 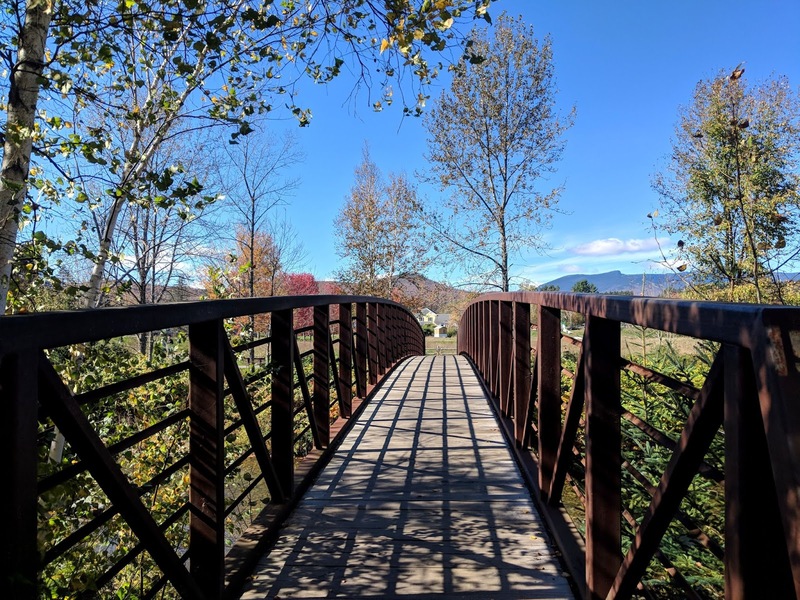 The Stowe Recreation Path has received several awards and honors. 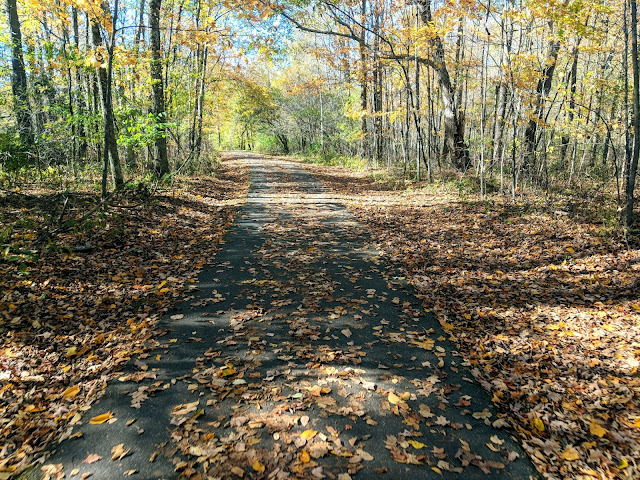 The path is entirely paved, with a "quiet path" area open to walkers and joggers only. There are several bike and skate rental shops along the way. My first stop off the Rec Path was Stowe Cider. The path travels past several awesome drinking establishments and this one was a "new to KW' endeavor. 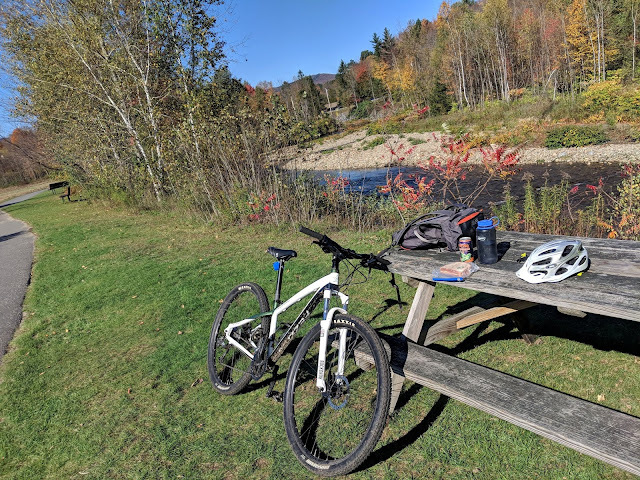 I wrote an entire post about my trip to Stowe Cider and spent some time off my bike, sipping cider, planning my next stop on the path. 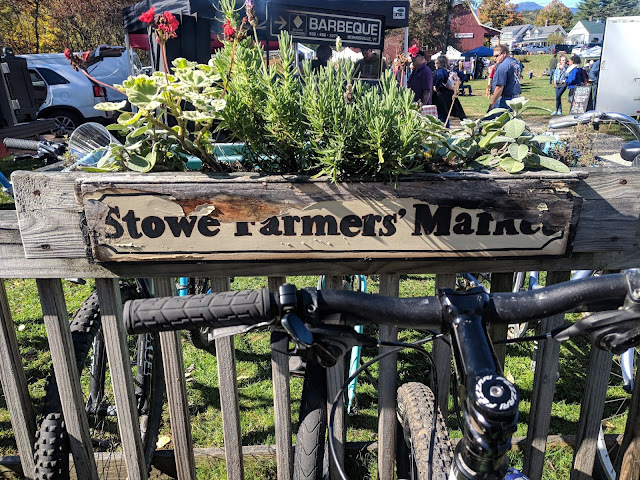 My second stop (completely unplanned) was the Stowe Farmers Market. The path goes right by the entrance to the market so I parked my bike in the bike rack and walked around the various vendor tents. 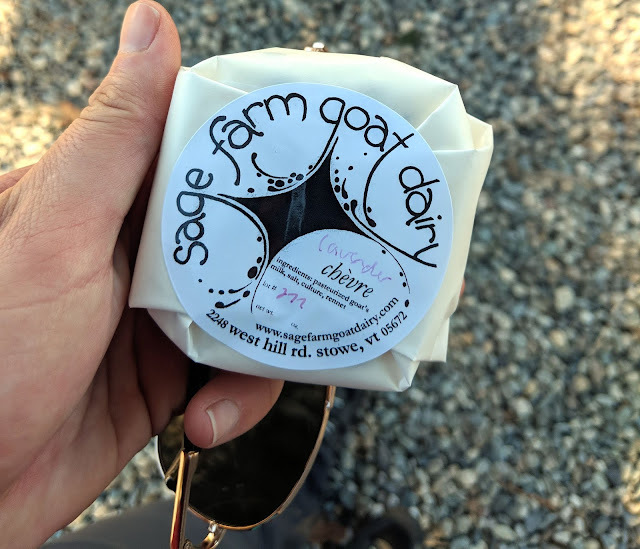 I stopped for a slice of pizza from Woodbelly and after sampling some goat cheese from Sage Farm, added a lavender chevre to my bike bag of booze from Stowe Cider. 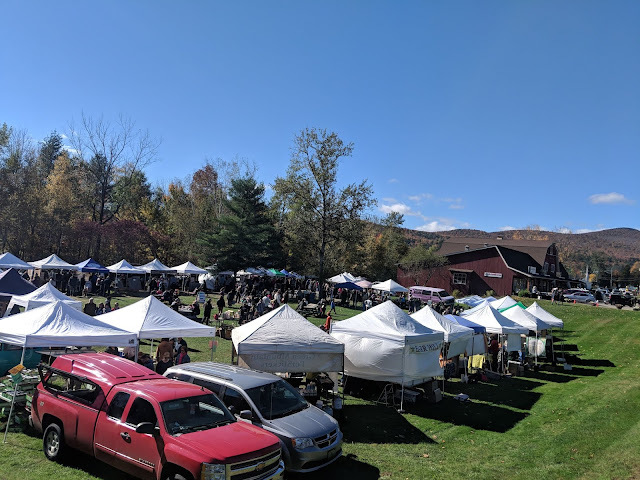 Live music, great vendors, and a lot of people enjoying the sunny day in Stowe. I made my way to the end of the bike path by the Brookdale Bridge. From here, I turned around and followed the 5.5 miles back to the start of the path. 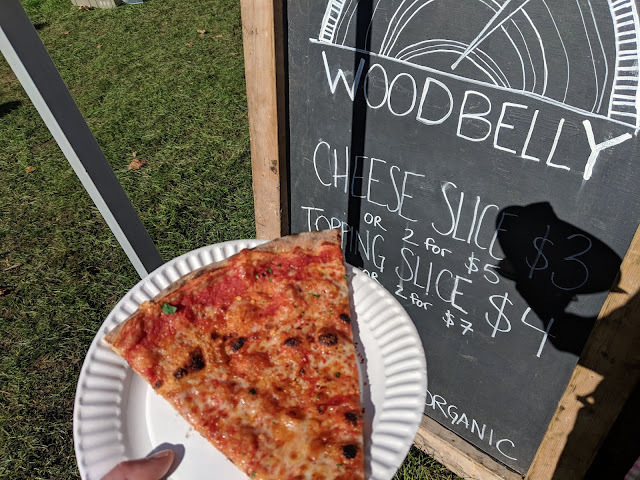 I cruised along this time, familiar with the sights, full from the pizza and the cider and high on another perfect day in Vermont. I ended the trip with a stop at my favorite coffee shop and beer store, Black Cap Coffee. 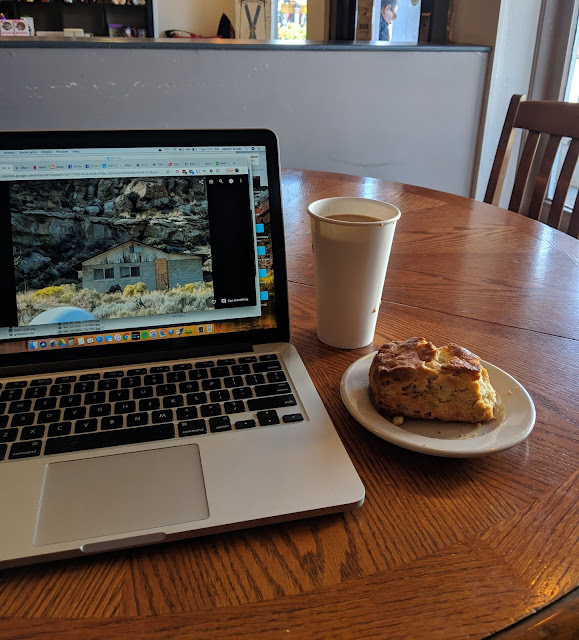 I had a savory garlic scone and warmed up with a hot coffee. I grabbed some of my favorite beer to go and hit the road for the long drive back to Coastal Connecticut. Thank you Stowe for all of your delicious food, beer, bike paths, atmosphere, and those beautiful mountains. See you on the ski slopes.